Friday night kicks off a double header in Trail as the Salmon Arm Silverbacks match up with the Smoke Eaters. After not seeing each other for nearly three months, the two sides clash for the third and fourth times in just 18 days. Two weeks ago in Salmon Arm, the Silverbacks tied the first game up late, and Justin Wilson was able to provide the home side with the extra point. Saturday both teams scored a trio of goals on the power play. 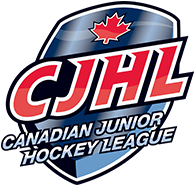 Salmon Arm came back after being down 3-0 to tie the game at three, but Trail would score twice more finishing the weekend with a win for their first in Salmon Arm this season. The two teams have played only once this season in Trail, and it was the second game of the year for Salmon Arm. The Smoke Eaters power play again pushed them to a win scoring three times on nine chances while the Silverbacks were 1 for 7. Five Trail players had double point games, but with two traded away, the group that remains are Trevor Zins and Carter Jones (1G,1A) while Diarmad MiMurro had a pair of assists. Healthy bodies may play a factor this weekend for Salmon Arm. Last weekend against the Warriors and again on Tuesday, they were missing eight regulars from the lineup. One goalie, one defenceman, and six forwards. The Silverbacks have won three games in a row, and look to tie a season high four game winning streak tonight. This is a make or break for both sides. A sweep for Salmon Arm would lock them from finishing any lower than 6th (Trail is currently 7th) but a sweep on the other side would bring the Smoke Eaters within three points of Salmon Arm but Trail has also played one more game this weekend. Taking a look at teams in the same ballpark standings wise, Wenatchee is five points ahead of Salmon Arm in the standings with 60 in one extra game played. They have a road trip this weekend starting in Duncan, playing tomorrow in Duncan, and wrapping up Sunday afternoon against the Express. After losing to Chilliwack on Wednesday, the Vernon Vipers are one point behind Salmon Arm and have played one extra game. They have a home and home series with Penticton this weekend starting Friday in Penticton before returning home Saturday. 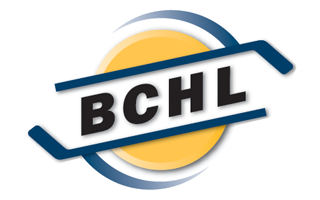 Two points behind Salmon Arm, West Kelowna will have their hands full with a long roadtrip starting in Chilliwack tonight, heading to Powell River Saturday, and wrapping up Sunday in Alberni Valley. Silverbacks: In four games against the Smoke Eaters this season, Akito Hirose had never been held off the scoresheet. In two games he has two assists, and the other games he had a single helper in each. Keeping up with the number six, in the past six games he has six assists to his name. With an impressive debut on Tuesday for the team, Brendan Kirschner of the Thompson Blazers will be travelling with the team this weekend. With an injury/sick bug hitting the team, the Silverbacks will need the young APs like Kirschner to hold their own on a smaller ice surface in Cominco Arena. Smoke Eaters: The first star in their win at the Shaw Centre, Trevor Zins led his group with one goal and three assists. In four games against Salmon Arm this season, the defenceman has two goals and five assists. His season high four game point streak came to an end on Saturday in a win against Merritt. Another thorn in the side of the Silverbacks this season is Carter Jones who has one goal and five assists in the four meetings. Like Zins, his biggest output of the four games came in the most recent win where he had three assists. He is currently on a four game point streak, and the goal on Sunday ended an 11 game drought. His previous long was five games.